The State-Of-The-Art New York Stock Exchange ceiling panels were extremely complex to design because the plane of the panels were twisted and could not be built with flat panels. This problem was solved by adding a fold to each panel from corner to corner of the four sided panels which allowed the assembly of panels to follow the lines described by the architect and to control reveals. This was quite unusual because the corners were not square, nor were the sides parallel. 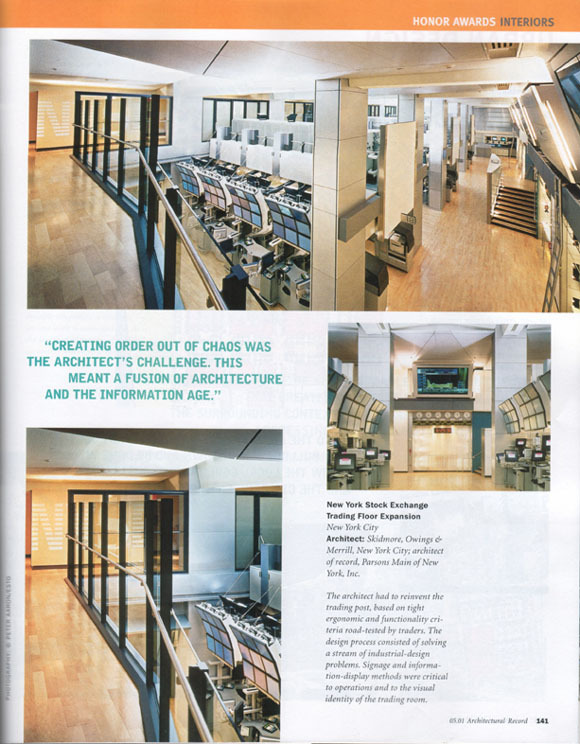 These ceiling panels were modeled by Bluming Inc. with joint efforts of Brian Yeoman and David Bigham of Nelson Industrial and were featured in ARCHITECTURAL RECORD Magazine as part of the restorations of the New York Stock Exchange building.